7244 S. Prairie Ave., Al Capone’s family home in Chicago from 1923 to 1931, was taken off the real estate market on December 4th, 2015. As of right now, it’s unclear if it’s been sold or foreclosed on—but this is hardly surprising given its spotty sales record. While Capone himself stopped living there in 1931 (when he “moved” to Alcatraz), the house remained in the family for some time. In 1947, the ownership of the home passed to Al’s sister, Malfalda. She and their mother, Theresa, lived there until Theresa died in 1952 at the age of 85.1 After that, Malfalda sold it in 1953 to William B. Petty. Presumably, he owned the place until 1963, when it was bought by retired schoolteacher Barbara Hogsette. She lived there until 2014, when she decided that she “wanted to sell the house and move into an assisted living facility.”2 She tried to sell the place long before 2014, however. Back in 2009, she set the price at $450,000. The house languished on the market for years, the price dropping and dropping until 2015, when it hit an all-time low of $225,000. But even at that price it didn’t sell. And why not? I mean, look at this product description from Zillow. How could you not want to live there? The place was built in 1905! 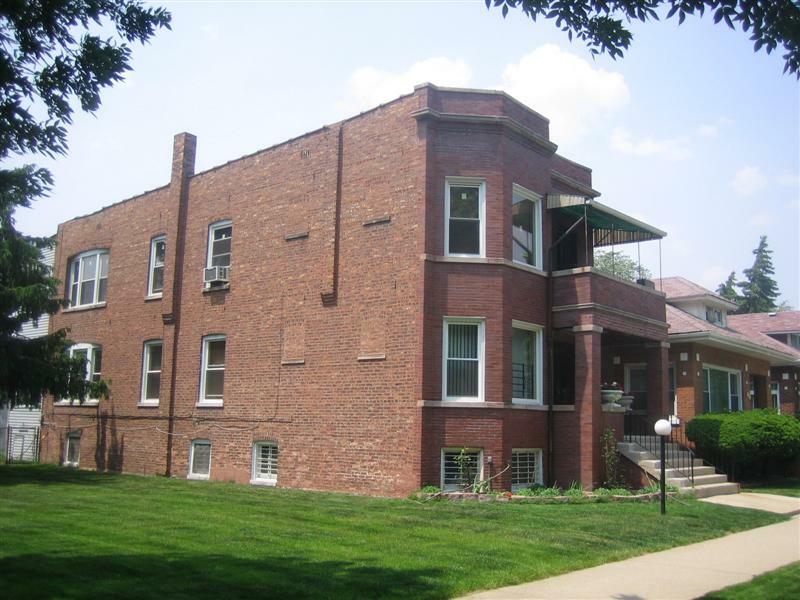 This was AL CAPONES Chicago Home WOW there are 3 bedrooms on each floor 1st floor was rehabbed in 2008 with new kitchen there is even a jacuzzi tub in bath 2nd. floor has hardwood floors both units have enclosed back porch 2 car garage newer windows full basement with lots of different rooms . Call for your appointment today HUGE DOUBLE LOT ” Must show proof of funds before showing” No Closing costs credits. So why are buyers so reluctant to own a piece of Chicago history? However, most Italian Americans didn’t see it Levell’s way—and they had history on their side. Ever since the mass immigration of Southern Italians in the early 1900s, Italian immigrants in America have been dogged by suspicion of criminal tendencies, starting with the Black Hand scares in the early 1900s and on into organized crime, a hurtful ethnic stereotype that still persists today. Given that history, it’s hardly surprising that local Italian Americans wouldn’t want to seemingly champion a criminal, no matter how famous he was. As an Italian friend of Mike Ryoko put it, “What am I supposed to do—take my kid for a drive and say: Look, son, that’s where Chicago’s most famous Italian lived’? He used to kill people with machine guns and baseball bats. Is that the kind of role model my kid needs?”6 Eventually, due to the bad feeling generated, Levell was forced to withdraw his appeal—but he probably won’t be the last person to try. Ultimately, though, it seems Chicago is still not quite ready to officially and fully embrace Al as part of its heritage. However, the city’s tourism industry has never been shy about doing so. Tours like The Untouchables wouldn’t be possible without Al and the fame his “business” brought to Chicago. Whether the city likes it or not, Al is a big part of its history and certainly one of its most notorious denizens. As Bill Helmer notes in another Tribune article, the image of Capone his rat-a-tat-tat machine guns “is something the city has always tried to live down, with no success.”9 They are better off trying to find a way to “live with an image that in fact is a major source of fascination for visitors and tourists”—and recognizing his home as a National Landmark is one way of making peace with that image.10 It certainly would give a boost towards tourism, as Al is just as fascinating today as when he was alive. Decades after his death Al’s name is still instantly recognizable around the world. Many years ago when I visited Moscow, a store owner asked me where I was from. When I said Chicago, his immediate response was “Ah, Al Capone! Bang bang!” and he mimed shooting a Tommy gun with a big grin. Whether its a National Landmark or not, however, tourists and gangster aficionados still manage to track down Al’s former home. They take pictures, poke around the neighborhood, and sometimes even try to drop in for a visit. Hogsette said that “every spring and summer” she “gets a steady stream of people riding by to take a look,” taking pictures and asking to come inside.11 Luckily, however, you don’t need to knock on anyone’s door to get a look inside the place: Mario Gomez from My Al Capone Museum took a whole bunch of pictures when he got inside. You can see them here. While the house is no longer on the market proper, the Zillow real estate listing is still up. You can check out all the home dimensions here at Zillow. There’s also one here on RedFin. Want more information on 7244 Prairie? Try The Chicago Crime Scene’s blog entry on the subject, or the Historic House Blog’s entry on the same. This entry was posted in Al Capone and tagged 7244 S. Prairie Ave. Chicago IL, Al Capone home, Al Capone landmark. Bookmark the permalink. You know, on the one hand, I understand that Italian Americans of Chicago feel unconfortable about Capone, but on the other hand, history is history. It isn’t right or wrong, it just is. And we should always remember it. I’d much rather remember an unconfortable past, protecting the places where it happened, that try to bury it. As an Italian, it feels very strange to me that a place that is clearly an historic place won’t be protected and offerd to the public. Unconfortable as it is. We have such unconfortable palces in Italy too and they are protected and offered to the public, so that we can remember and never do the same mistakes again. I hope the house will be preserved. And wouldn’t the plight of all those Italians who weren’t gangsters but were suspected to be because of their culture deserve to be recounted? This is precisely the reason why places and stories like that of Capone’s have to be remembered, in my opinion. There is a reason for everything and oftentimes that reason lies in the past. Remembering is power, not weakness.